Udupi/M’Belle, 01 Dec: Boniface Barboza, popularly known as Benny Master, a native of Moodubelle and former Headmaster of Belle Church Aided Higher Primary School passed away in the early morning of Saturday, 01 December 2018 at his Udupi residence 801, Grasslands, “O’Ville’ Brahmagiri. Late Boniface Barboza is survived by his wife Mrs. Eugene Barboza, former teacher in Belle Church Aided Higher Primary School, son Conrad, daughter-in-law Wilma and grandson Collin. Boniface Barboza was born on 5 June 1932 as the fifth among 11 children of late Salvador and Piad Barboza. Salvador Barboza was the first sacristan of St. Lawrence Church since its inception in 1910. After serving as a teacher for many years in Belle Church Aided Higher Primary School, Moodubelle, Late Boniface Barboza became the Headmaster of the same school and served the institution with dedication for nearly 30 years as the Headmaster. Being soft-spoken and understanding the needs and problems of the students, Boniface Barboza became quite popular among the students and was fondly called ‘Benny Master’. Benny Master involved himself in church activities. He was an integral part of the Church Choir and played harmonium. 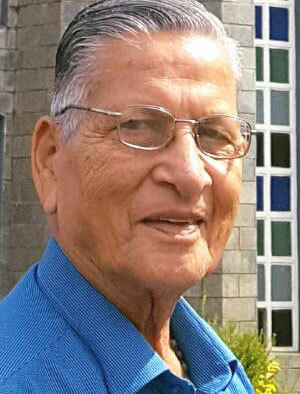 He was editor of the church magazine “Suvaad” for a number of years. Though ailing for many years, Benny Master never allowed his illness in the way of his normal activities such as attending church services and social functions. With the passing away of Benny Master, his beloved students have lost a true ‘Guru’ who was a role model for many teachers and students as well. The funeral cortege of late Boniface Barboza will leave the residence at Moodubelle, behind St. Lawrence High School at 3.30pm on Tuesday, 04 December 2018 to St. Lawrence Church followed by mass and burial service. 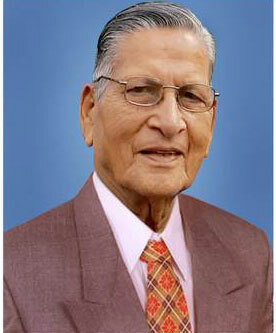 Shocked to hear Benny Master s demise. My prayerful sympathies to the bereaved family Eugene Conrad. May his soul rest in eternal peace. My heartfelt condolences to Eugene teacher, n Conrads family. Best teacher and Headmaster of our time. May his soul rest in peace. My heartfelt condolences to Eugene teacher and family members. May his soul rest in eternal peace. Praying for the departed soul of our beloved Benny Master.Condolences to Eugene Teacher family members. Heartfelt sympathies to the family. May God Almighty grant his soul eternal peace. Hard to believe that Bennie Master is no more here on earth. However, he has moved to everlasting life. I have no doubt he has left behind him for all of us who knew him, we have an example of strong faith, good example, patience, tolerance and everything that is good. May he rest in peace! My heartfelt condolences to Eugene teacher n conrad s family. May his soul rest in peace. GOOD TEACHER.MAY HIS SOUL REST IN PEACE. Heartfelt condolences to Eugene teacher Cony and family members. May his soul rest in peace.